Ok for right now i have my small genny running the inverter. I decided to throw a load test on it and it hits a 3000 watt load with out a flinch. So really annoyed now haha always something!! 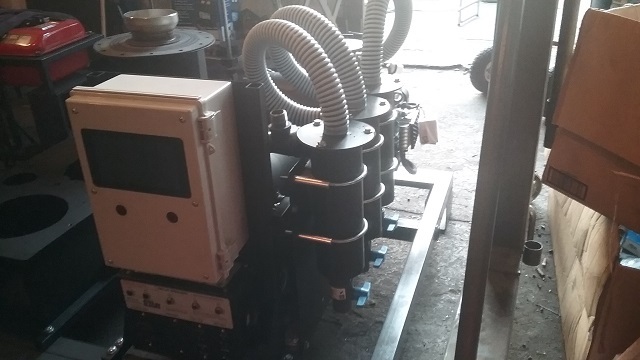 Matt I tried looking back but cant see a mention of the type of inverter charger and what size it is , are you running this inverter/ charger from the old style generator or one of the new inverter generators ? 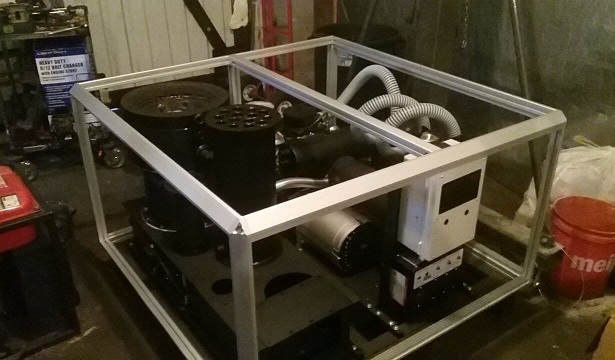 Everything is new, the charger inverter is the AIM’s 12 kW and the generator head is a North Star with Capacitor voltage regulation. The later is the problem, In my case I think the fix is going to be just ramping the machines RPM’s up to 2800. I may need to add moment of inertia flywheel as well. I found some larger gears that could be used and will be able to use them as an exciter ring for an RPM sensor. So when you look in there you will say thats a gear, and Ill be like no thats an exciter ring its designed that way. I have also have had DavidB’s experiences. Adding a small constant true 60-150 watt electrical loading does wonders for smoothing out. In seasonal need I have used the chicken house light as the loading. Other times a three-range kitchen crock pot. Can ALWAYS use a bit of hot water the crock pot makes. The engine on gasoline with this light loading will actually burn cleaner and not even use more fuel with the thermal-loading evening out misfire burbling. I put a new gear on order to gear it down a bit. This will put it at around 2800 rpms. So a little more power and a little more momentum. If it still has issue then Im going to order the 8" spur gear. Its 1 1/2" thick. I do plan on adding the 12" on later machines but I will need to make some revisions to make it work. Too late on the ones in progress. So once this gets in Ill get it on then measure the belt and get that on order. I hate guessing at belts I never get it right so just going to wait. We are also moving once again, this shop has served its purposed but time to move on to bigger and better things. Im looking at multiple large facilities and will secure one of them by the end of the week. I read that e-book recommended by @Jeff. (2-second Lean). I liked it a lot. One of the example companies puts everything, even the Boss’s desk and the lobby furniture, on wheels. I think that would help your spontaneous mobility! More than my share thats for sure!! Not as far as I wanted to be, but its on there. This the new frame we will be using going forward. Hi Matt, looks great! I was just wondering is how clones do you have working for you. Boy you sure can crank out the products you are making. It would take me all day to cut the parts out, with the mistake cut parts included. I wish i had a clone, this is week 7 on this build and we are now three weeks past due on this one. Technically it should take three to four weeks to manufacture an EPS and two weeks to produce a Utility. We will get there once all the documentation and file system is complete and set up. Helps to have a CNC machine to carve all our parts out, it dont make mistakes. We have our work cut out for us as the machines are getting all new G Code files while we set up work orders for each individual section of the machine. These next gen machines are going to be beautiful !! So anyways I whipped up this design yesterday and set up all the G Code last night. Got up today and busted it out. 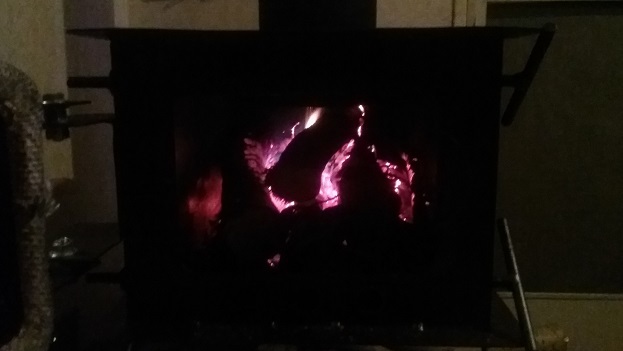 Considering Ive built quite a few of these small stoves this thing has a pretty good burn time, I fired it up at 7 pm and it still does not need any fuel yet Its 1030 now. I have very good control over and can crank it down and so far it will sustain at the low setting. 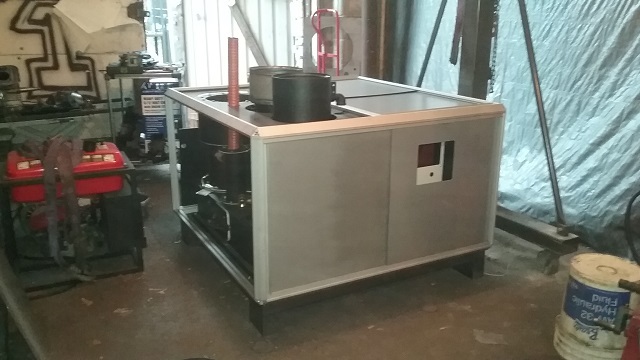 So once I find time again Im going to build the pellet fuel reactor and this will bolt in place of the hot plate, revisions for this already exist. 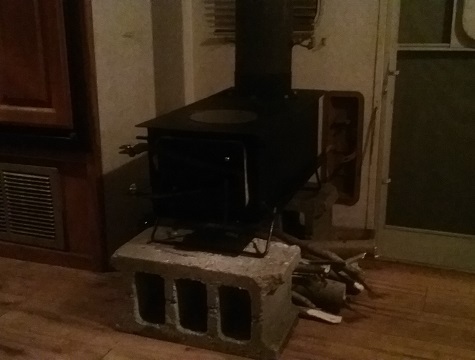 Then this will get the rocket stove tower, I can do this on this stove the way it is with out the pellet fuel reactor. This will most likely get a hot water heater coil wrapped around it. 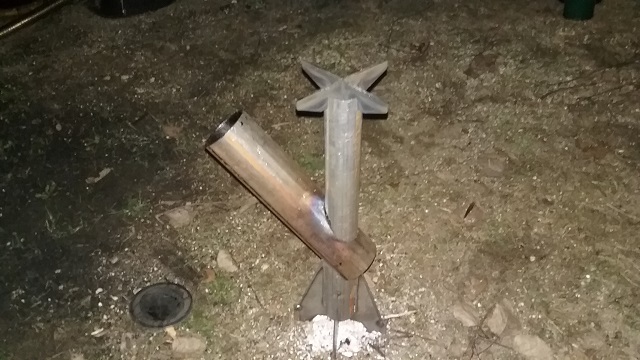 Did another quick side project, this is for a quick to get onto market collapsible rocket stove. Im going to put this on Amazon as soon as I know we can manufacture them fast. The through hole through the fuel tube is the hard part. I have a fixture set up on the mill and use a hole saw to punch this through. It was marginal with the 3" pipe we have in stock, it is 1/8 or maybe greater wall thickness and it is killing the hole saw. I have found a less expensive vendor where we can get 14 Ga 3" tube via a local automotive supplier. Our steel provider is very proud of their tubes. Like 5X more proud than this other supplier. haha. So they are open tomorrow and plan to get a stick of 3" along with some new hole saws. 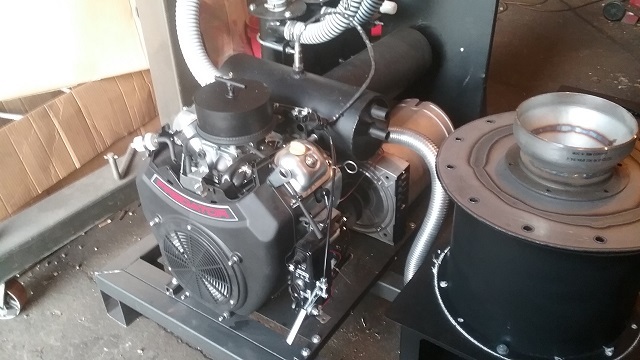 Then its back to build the next revision of the pack stove, that has also evolved and I am going to try and attempt building it so it is also engine run capable. I had to redesign the dampers so they can be completely air tight. But I have no idea if it will make clean enough gas. 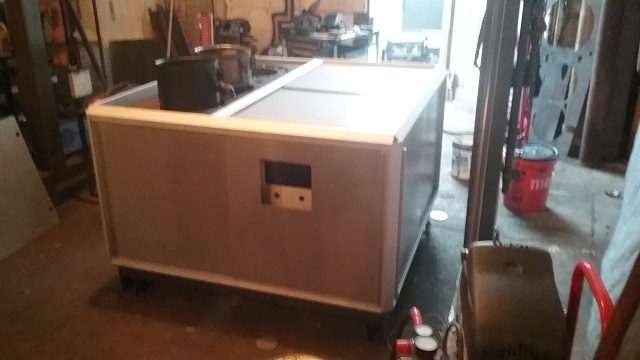 So we will see if not no biggy its still a nice stove for heat and cooking. 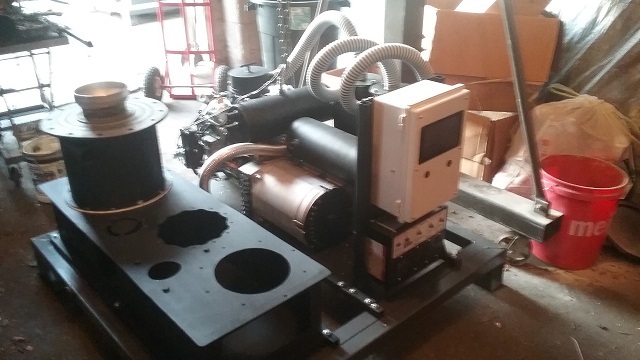 You need a rotary axis on your cnc plasma cutter. Interesting rocket, it even looks like a rocket. Space X will be eating their hearts out ! ! Another thought is to use sheet metal, make the cuts then roll into a tube or rectangle tubing. Yeah I want to at some point build a dedicated CNC rotary for stuff like this. Yeah I may try to cut it in a sheet and roll but three inch OD at 12" length may be bit tough to roll. Well I got to thinkin about that and liked the idea to do something a little different and give a more manufactured look. So designed a triangle shaped fuel hopper. I finished up some other stuff to make the CAD model more complete. The kick stand doubles as a plug for when you collapse the stove. 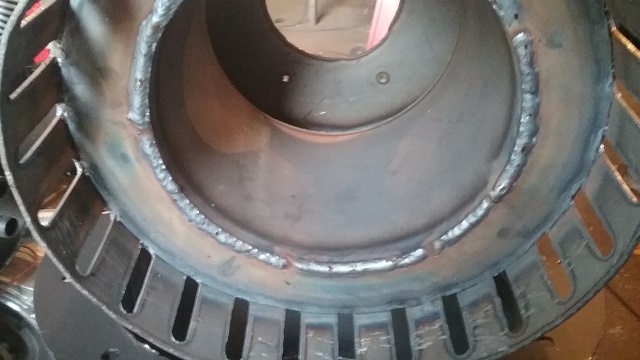 When you fit inside the foot acts as a stop to prevent the stakes and burner from falling out the other end or through the fuel port cut into the fire tube. 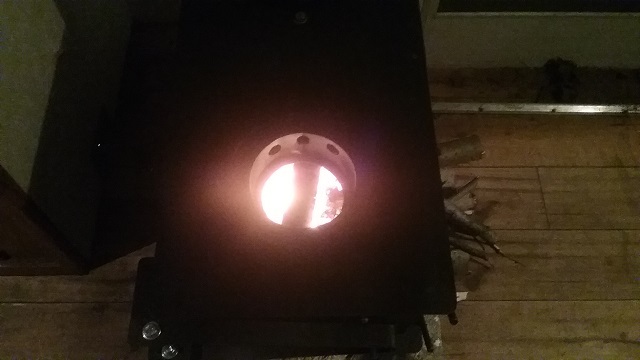 Its funny on this new revision I renamed the file Rocket Stove V2 so I hope Space X do not get offended as Im going to badge this stove the V2 Rocket …Stove. Now I got to get busy and design a new hand break to bend this thing. Our other one would work great if it had a big enough thought. So Im going to design a new much like it but more robust.